Chris Fox (author of 5,000 Words Per Hour and the Deathless Series) has kindly given us permission to repost the below. My first series launched into the Amazon top #4,000 where it stayed for about five months. In the year since then I’ve published two more novels and a novella, and the series has sold around 25,000 books. I did well, but I also made a LOT of mistakes. I advertised on sites that didn’t give me a return, I mistimed promos, lost out on Kindle Countdown Deals, screwed up keywords, and made just about every other mistake you can make. Today I have a chance to learn from all those mistakes. I’m launching my second series, and my goal is to get it into the Amazon top 100. I want this series to explode, and I believe that’s absolutely possible. What you’re about to read is a detailed strategy describing exactly how I plan to do that. The first section (numbered) is the pre-launch preparation. The second half is the actual launch strategy. First and foremost I focused on presentation. If you look at the cover you’ll see a pair of bright eyes staring back at you. This was very intentional. The part of our brains called the limbic system is always scanning for threats, and will automatically guide your attention to a pair of eyes if it feels someone staring at you. This means that people’s eyes will be drawn to the cover when scanning down a list of books. Once it lands there they’ll see the prominent title, which includes the word Hero (more on that in the writing to market section). Ideally, they’ll click the link and read the blurb. I’d encourage you to take a look. It’s short, punchy, and raises a ton of questions in the readers mind. If I’ve done my work right it will make people interested enough to download the book. Hero Born is absolutely written to market. It IS a story I wanted to tell, but as you’ll read below I made changes to fit the genre. In March of this year I cranked out a novel in just 13 days. That novel clocked in at 55,000 words, and was tentatively entitled Project Solaris. It was a spinoff of my Deathless series that I was billing as X-Files meets Heroes. I was tempted to publish it right away, but realized that I wouldn’t be able to write the sequel for 6-8 months. Having seen what happened when I waited that long to publish I knew that would be a mistake, so I stuck it on a shelf. Fast forward to July. I learned that both Heroes and X-Files were returning to network television. What’s more, I’d seen Todd Hodges Never Hero and Logan Rutherford’s The Second Super take off like rockets. I realized that super hero books were hot, and they were likely to get hotter. So I took a good look at Project Solaris. I realized that the title didn’t convey anything to readers. So I changed it. Project Solaris became Hero Born. I also changed the plot. Not drastically, mind you. But enough to hit genre conventions. In the first draft the protagonist was a software engineer at a San Francisco startup. He was 28 years old. I dropped his age to 21 and made him an intern. Super hero books are aimed largely at teens. By changing his age I hope to capture the same sci-fi market as before, but also add in the younger YA demographic. As you can see I made compromises, but not large ones. Writing to market means my book will sell many more copies, and I didn’t have to change much to do it. This next bit has been done to death, but I have to mention it again. I released a book every six months in my first series, which was the kiss of death. By the time each new book came out the previously one had flatlined, and readers had forgotten about the series. If they weren’t on my mailing list, then they had no idea the sequel was even available. This time around I am publishing much more quickly. I will be putting out a book every two months for as long as the series is popular. The preorder for book 2, Hero Rising, is already up on Amazon so that readers can see how quickly it will be available. This was possible for two reasons. First, I held back a book rather than publishing it right away. Second, I cleared my decks so I could focus solely on the new series for the first few releases. This should keep me at the top of Amazon’s algorithms for the foreseeable future, and will also keep me in the HNRs for the entire time. Everyone from Sara Reine to No Cat have advocated this, and I think they’re right. It seems like a sound strategy and I plan to milk it for all it’s worth. Many people know that I have a wonderful relationship with Apple. I love them. They’re great about getting me into promos, and are awesome to work with. They’ve sold a lot of books on my behalf. That said, Hero Born will be in KU for at least the first term. Why? Because I have no prayer of getting traction if I’m not in KU. We all know how big of a hit you take to rank when you go wide, and I want to maximize my chances of Hero Born taking off. That said, it will go wide eventually. Probably after 1-2 terms in KU. So what happens if my stellar plan fails, and this series fizzles? It’s very possible that people won’t love it, and if they don’t how do I react? I terminate the series. That doesn’t mean leaving readers hanging. I have two alternate endings planned for the third book, Hero Dark. If the series takes off with books 1-2, then I’ll use the open ended version, and will immediately begin work on book 4. If, however, the series does meh, or god forbid crashes entirely, then I’ll end it gracefully with book 3. Then I’ll move from this trilogy into my next project. Onto the part most people here will care about. What am I doing to launch the book? As people like Wayne have shown us the Amazon algorithms need to see a sustained spike in sales before they’ll kick in. My strategy is designed to do exactly that. Exposure- I messaged KDP and requested they add Hero Born to a third category. This puts the book in YA, Science Fiction, and Fantasy. This will give the book maximum exposure. Half of my keywords are designed to broaden subcategories. The rest are set up for targeted searches for books like mine. After Amazon indexes the book following the initial sales spike it should be visible in a lot of places. This won’t automatically make it take off, but it will ensure that the book is shown to a lot of people. Pricing- Book one retails for $2.99, as my experiments have shown that’s the most successful price in the science fiction genre for a first in series. It’s high enough to get the $2 royalty, but low enough to impulse buy. Timing- It isn’t accidental that I released the book a week before Christmas. If the tactics below give me the sustained spike I’m after the book will be on fire by the time people are opening up their new eReader and smartphone gadgets on Christmas morning. 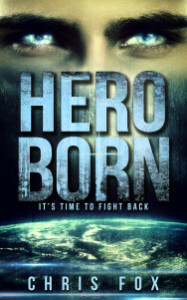 I want Hero Born to be the first book they see, and my launch should ramp up to that. Tactic #1- I’ll be emailing my list to let them know that the book is discounted to 99 cents for the first 24 hours. This makes the buy a no brainer, as it’s both cheap and limited time offer. People are far more likely to buy when something is scarce, so this should have the largest number of sales. My mailing list has gotten fairly large, hopefully large enough to generate a couple hundred sales. I’ve broken it into two segments. The first group is less engaged, which is why they get emailed first. This will start the sales, but it should be a slow build. Twelve hours later I’ll email the second, more engaged, segment of the list. This is where I’m hoping the bulk of the sales will come from. I’m timing the email to go out at 10pm on a Friday, so that as people wake up over the weekend sales will trickle in. This will provide a more sustained spike, rather than a quick spike that Amazon will ignore. Tactic #2- The second the mailing list blitz dies the Facebook ads begin. I’m running $15 a day for the first month, broken into $3 ads that I will tweak daily. Underperforming ads will be removed, while the best will receive more of the budget. If one or more does extremely well I can increase the daily spend to $25. Note that I will lose money on this tactic. I will generate some sales and some KU borrows, but not enough to cover the cost of the ads. That’s totally okay, because every sale makes it that much more likely I’ll get picked up by the algorithms. What’s more, some of those people who sign up to the mailing list, and over time will purchase more books. I consider this a loss leader to help build momentum. Tactic #3- At the same time I start the Facebook ads I’ll be letting people know on Twitter, Facebook, Reddit, and a host of smaller forums I frequent. I’ve carefully selected a number of them, and have been an active member of each for a long time so people know who I am. Many are already excited about the book, and I’m hoping this will give another surge in sales. There you have it. That’s the entire launch strategy. I’ve kept it simple and trackable, so I can study what works and share it here. If I’m right the first book should do very well right out of the gate, but that’s really just the beginning. The series won’t hit it’s stride until the 2nd book launches, which is where phase two of the launch plan comes in. By this time the 1st book will be out on audio, which will add another layer of both sales and visibility. As mentioned above Hero Rising (book 2) is already listed for preorder. I am making an offer to my mailing list that if they review the first book I will allow them to ARC read the 2nd book. The goal is to get to 50 reviews as soon as humanly possible, which I don’t think will take long. The first promo will be a Kindle Countdown Deal, and I will launch it to coincide with the release of Hero Rising in mid-February. I’ll be dropping the price to 99 cents, and will be listing the book at any and every book advertising site on the web. 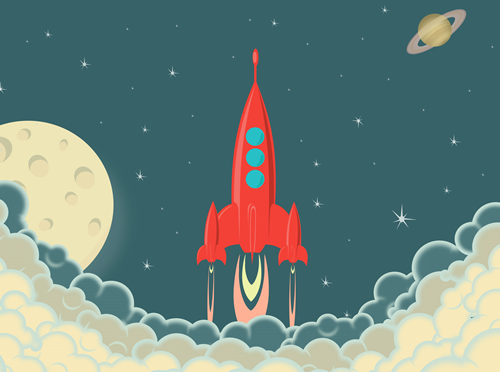 If I can get a BookBub wonderful, but with or without I will wallpaper the internet with ads. This should both revive what will likely be flagging sales on book one, and give book 2 a strong launch. These sales will trickle into book 3, which will already be listed for release on April 27th. I’m really excited to see how this launch goes, because it’s my first chance to test everything I’ve learned at Kboards over the past year. I’ve watched people like Nick Webb, Wayne Stinnett, Amanda Lee, and many others catapult themselves to tremendous success. I believe that any of us can do the same. We have all the tools we need at our disposal. All we have to do is learn from people who already have the success we’re after. If you have either questions or suggestions I’d love to hear them. I am always learning, and you all help me do that! I agree with pretty much your whole plan. However I don't see the eyes staring back at me on the cover. The lights reflecting in them make it look like he's looking up at something coming from off camera, instead. Worse, they are uneven, which makes him look a little walleyed at first glance. I think it would look great with new eyes that looked straight at the potential reader.